Many people are often put off reporting a crime or any incidence of nuisance or anti-social behaviour for fear of the police or other authority not respecting their confidentiality, and the threat of reprisals. Although there are laws in the UK which deal with a person’s rights with regards to privacy and confidentiality, when it comes to police matters, this all has to be weighed up in the context of the Data Protection Act, Human Rights Act and Freedom of Information Act, when you might be a witness to a serious crime and may be required to testify against an alleged offender in court. Most of the time, if you want to report a neighbour, it will usually be more appropriate to inform another organisation rather than the police. For example, this might be the Environmental Health Department of your local authority or your local housing association. Whoever you wish to make a complaint to, they will generally be able to guarantee your confidentiality. In fact, local authorities, housing associations and the police are all keen to highlight their commitment to ensuring that any information they receive from the public will be treated in the strictest of confidence. These authorities are well aware that a lack of confidentiality could prevent people from coming forward to offer them information that might be very useful in reducing crime and Anti-Social Behaviour. Because some people might be afraid to report a neighbour over a particular issue for fear of them being identified, there have been several initiatives introduced in the UK whereby a third-party agency can act as an intermediary or ‘conduit’ between you and which ever organisation you wish to notify. Many people are simply too scared of what might happen if they walk into a police station to report something, or are worried about how it will be perceived by the rest of the neighbourhood if uniformed police officers or council officials turn up on their doorstep. In these situations, the person reporting a complaint can do so formally, informally or even anonymously to the remote third party. They will take down all of the details from you then pass them on to the relevant authority to deal with directly so that, for example, you would not have any direct contact with the police. Alternatively, if you are worried about your confidentiality, you could always go out to a payphone and call an organisation such as ‘Crimestoppers’ anonymously. Furthermore, all police forces and local authorities have websites these days so, unless there’s an imminent danger to safety, that might be another method you could choose to report an incident yet still maintain your confidentiality. The important thing is to do something. The police, local authority or housing association would not want you to be wasting their time but, on the other hand, if you do encounter a serious problem which requires some kind of enforcement, it’s always far better to let the relevant authority know at the earliest opportunity before a particular problem starts to get out of hand. Neighbourhoods can go from good to bad if left untended or if everybody turns a blind eye to criminal activity or anti-social or nuisance behaviour. So even if you report things anonymously, you can be assured that, in most cases, they will be investigated. I've had troublesome neighbours and after 3 years and countless complaints to radian housing they have done nothing. My family have received some vile abuse and had stones thrown at me and my car. Radian do absolutely nothing but speak to their tenants about the complaints which then gives the tenants a good idea of who has complained and things get worse. 3 years of hell now and radian housing have made things worse rather than improve things. Would love to sell my home and move but these people will make it difficult to sell. Actually, people are put off from complaining as they have to declare it when selling, and could end up loosing thousands. For 3 months my neighbours play loud music all the time they bang shout and argue. I live in flats, they stand on the walkway swearing drinking, threatening the neighbours who live under them. When anyoneelse makes the slightest noise when there in bed through the day the guy kicks off. They are constantly being reported to gipton council and theydo nothing about this. Perhaps if someone rang yorkshire evening post they may do something about it. Hello I received an anonymous letter today and it had such a disturbing language about us and my kids as we are not white skinned..the letter stated that my children are ferrel kids and we are disgrace to the neighbourhood as just my kids play with their bikes and they leave the bikes outside my front garden..they don't leave it a anywhere else . Please can anybody help me how I could I report this matter to the police or what should be done to prevent such things. I hear constantly in the night my Arab neighbor, I am an Arab and I understand their language, quarreling. The husband's voice is incomprehensible and the wife accuses him of treason and cursing him with very ugly words And I also hear that he hurts her and she is suffering. Today I heard heavy things thrown by one of them. Maybe, I do not know, perhaps one of them throw it on the other. But the sound of heavy vessels hit the ground. They live in the apartment under my apartment. Worse yet, they have a girl who is about a year and a half old she still cries and panic for 20 minutes or more. It always happens that day and their voices were very loud and worse than every time. I feel it is my duty to do something for the girl but I do not want to reveal my identity. what should I do? We live in a privately rented house. The 1st 2 years we had no issues with our neighbour as we were told by the letting office that an elderly gentleman lived there. To cut a long story short it actually came to light that it is the home of a drug dealer and he must have been "away" for a while. Our house now smells like weed all the time and there is shouting and fighting heard all hours. (You can hear it's drug deals gone bad) we and our other neighbours have gone to police and nothing has been done. Is that because we have done it anonymously? Who owns the allotments? If the allotments are council owned, they may be able to take action. If the allotments are privately owned, contact the owners. Environmental health will be able to advise you if you can find a resolution. this is bull. Housing associations wont do a single thing if you report crime anonymously. Unless you are prepared to stand there is court and put both you, your property and your family at risk nothing will get done, The country is a joke. Just looking for advice. My neighbour has a dog I consider to be behaving aggressively but she doesn’t think so. She was always quick to bring the dog inside if it was out the front when I went out there. Relations broke down when my mum went to my house while I was at work and the dog trapped her against the fence on the path outside our house, barking and growling at her. When neighbour came to bring the dog in, my mum told her she needs to sort the dog out as it’s aggressive. My mum then we raise but the neighbour banged on the door for 5 minutes demanding my mum come outside and yelling that my mum just doesn’t like dogs. After five minutes my mum left my house. She got halfway up the pavement towards our car before the neighbour ran out of her house, chased after her all the way across the road shouting. My mum got in the car. My dad and 7 year old son were already in the car waiting for my mum. It was a hot day so the windows were down. Neighbour stuck her head through the car door window shouting abuse and demanding my mum gets out and talks to her. My dad got out and apparently threatened to kill the dog if he ever hurt his family. She then threatened to call the police and my son was crying and distressed. The following evening the dog was running around her front garden barking and growling st 9pm at night so I tried to video it from the window as evidence should I need it. Stupid thing to do because she saw the flash! Since then she has made several snide remarks when I’ve seen her but I’ve ignored them. Yesterday she made another snide remark as I tried to leave my house with my three year old. I told her to shut up and she shouted at me, told me I’ve been hanging out of windows taking photos and that I must be a pervert taking photos of her kids in their underwear. Threatened that her dad is bigger than my dad (I’m not joking lol) and that her dad will go after mine if he says anything to her again. She shouted do much more abuse at me than that but can’t remember it all. Said she has contacted the police and told them my dad was tgrwTening to her and her dog and that she’s gonna tell them I’m a pervert. What should I do? She also says she has spoken to the RSPCA who have assessed her dog and done a report saying the dog not aggressive. I asked if I could see it but she said “she ain’t showing me nuffink”. I have been reporting to the anti-social team for the last 4 years and I have not got anywhere. I live in a flat first floor their are 4 more flats in this block. I have a neighbor opposite me that is a drug user and has drug dealers coming in and out the flat all hours of the day an night, he also has dealers threaten him for payments and people who shot for him from outside when he doesn’t answer his door at times these people also constantly bang his door for a response which is disturbing my little baby who is now 5 months old I am terrified leaving my property I also have a neighbor who lives below who has mental issues when I complained last year the council offered him more support then me he Evan tried to force entering my property with a knife police was called but nothing was done. The anti-social team have told me I need to report all matters which I have done so but this has made matters worse for me. I am now suffering from depression being locked in my property all day an night I have had my doctor give me doctors letters in regards what is causing me and these have cost me £20 each time. My health visitor has also wrote to the council local Mp has wrote to the housing association and nothing has been done. What else can be done for me? Hello my name is kerry. Today I put a bag of rubbish outside my door while I put my shoes on 10 mins or so? When I came out it had gone??? Ive now got a letter saying I was blocking escape routes when it was tucked away near my door also letter says they request me to attend a interview to sign an under taken. And if I dont attend faliure can result in further action being taken. I feel threatend!!!! They have taken a picture of my door that I am not happy about and the a4 bit of papet has been cut off to I dont see emails or who its from. Also only a tiny bit of bag can be seen. Am I allowed to ask who has reported me and can they tell me. Also ive not been given any pior letter to tell us they are taken pics of peoples door does this fall under invasion of privacy??? Just respond to the sender (we assume this is landlord) of the letter saying you left it there for 10 minutes while you put your shoes on and agree to attend the interview. At that time you could ask who reported you if it makes a difference. Hello my name is kerry. Today i put a bag of rubbish outside my door while i put my shoes on 10 mins or so? When i came out it had gone??? Ive now got a letter saying i was blocking escape routes when it was tucked away near my door also letter says they request me to attend a interview to sign an under taken . And if i dont attend faliure can result in further action being taken. I feel threatend!!!! They have taken a picture of my door that i am not happy about and the a4 bit of papet has been cut off to i dont see emails or who its from . Also only a tiny bit of bag can be seen. Am i allowed to ask who has reported me and can they tell me. Also ive not been given any pior letter to tell us they are taken pics of peoples door does this fall under invasion of privacy??? Neighbor has moved boundary fence of housing Association house. (Not aloud to do this) I want to report it but I feel threatened by neighbour in the first place. What should I do? I have the upper part of a two storey Maisonette and my living over looks both the upper & lower maisonette gardens my neighbour has built a rear extension which not only obscures the view of my garden but the height and the width of the build encroach on my property by 6 inches & 18inchesrespectively. 6inches & 18inches are built up on to my property ,Part of my air vent brick has been cemented over ,And now when I open my landing window I can touch the roof of the extension dispite an 18inch gap from window sil to skirting board The council approved the building plans despite being shown photographic evidence of the encroachment and member of the Councils Planning department visiting the property.any advice would I have case to go to court with ? You would need to seek professional legal advice really. If the extension is built on your property, it's trespassing , to we hope it should be relatively straightfrorward. Has the building inspector passed it yet? Talk again to both builidng control and planning. I have the upper part of a two storey Maisonette and my living over looks both the upper & lower maisonette gardens my neighbour has built a rear extension which not only obscures the view of my garden but the height and the width of the build encroach on my property by 6 inches & 18inchesrespectively . 6inches & 18inches are built up on to my property ,Part of my air vent brick has been cemented over ,And now when i open my landing window i can touch the roof of the extension dispite an 18inch gap from window sil to skirting board The council approved the building plans despite being shown photographic evidence of the encroachment and member of the Councils Planning department visiting the property. any advice would i have case to go to court with ? I own my flat but the adjoining property is rented out to local council tenants, the latest adjacent to me are noisy, inconsiderate, playing music, chanting, shouting and hoovering at all hours (literally) disturbing my sleep and relaxation every night. I have reported to Anti Social team over a month ago, who said they would come back to me and have not so I complained to the council complaints team, nothing. If your local Council won't help you, what am I meant to do?Where else can I go next? Someone falsely accused me of benefit fraud which even after a year of this happening has depressed me, this was proven wrong and case dismissed straight away. Is there any process I can find out who this person was? Contact your local PCSO and environmental health, they should be able to take action to help with this. Hello, I live in a flat. My view from my balcony is over the neighbours garden. It is full of piled up rubbish, domestic waste and dog fecals. They simply never take out the bin for collection and don't recycle. My husband offer to help them to clean the garden and get rid of the rubbish but they said they will do it themselves. They haven't. I have already contacted the health and environmental agency, the council and the housing association several times. They send them a letter but nothing has changed. I am desperate to move away but can't sell my flat for the same reason. Keep on with your complaints to the Housing Association and environmental health. They should do more than simply send letters, they have power to take further action, such as arranging for the garden to be cleared out and then re-charging the resident etc. Hello,I live in a flat. My view from my balcony is over the neighbours garden.It is full of piled up rubbish, domestic waste and dog fecals.They simply never take out the bin for collection and don't recycle. My husband offer to help them to clean the garden and get rid of the rubbish but they said they will do it themselves. They haven't. I have already contacted the health and environmental agency,the council and the housing association several times. They send them a letter but nothing has changed. I am desperate to move away but can't sell my flat for the same reason. My.neighbour seems to think it's acceptable to do her washing till 11am at night,she does not work,has a psych person.whom comes to visit.where do l stand in this,her and her partner are in out there front door all night to smoke sometimes it's after 12am at night,I'm sick of this also can hardly hear my tv at night as he is rather loud. This environmental services is joke. It say that if you report anonymously in most case councils will investigate. This is no true, and is loose information with no definite help. I have live many area in UK, and in some area have see problems and other neighbors say they report problems but councils use any way they can to not bother do things about problems. I have say about man who let him dog foul all on street and in people front gardens and no on lead while he outside him house fixing cars to sell on Internet (no permission or proper thing in place for do this) him whole life overflow on to other people's life. (Many olds people's in this street). But council no interest in this. I have people's tell me in before that people they are complain about can find out who is say this about them to council. I know this true, it happen to me to. I wish I had job in environment place in council. Make all day hide behind rules so not have to bother help people. People who make problem for other already know what they can get away with do. So environmental office is waste of time. No one want to help. Is just made up job to make people's think someone do something. 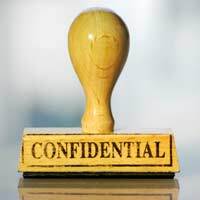 Councils will not usually investigate anonymous complaints but they are usually willing to keep details of the complainant confidential. Hi I am writing this letter with reference to my neighbours. Well not the couple just her. She's Always complaining about my dog, if he barks I bring him straight in. There is just no reasoning with her to the point now that she has left nasty letters, also her language and attitude is disgraceful. My main concern is last bonfire night They had fireworks directly in the entry where my garden fence ends. This caused so much distress to my dog and I know it was done deliberately. I mean there is a lot of entry and no animals in other houses. I am greatly concerned this is going to happen again and am starting to feel victimised. What can I do to stop this happening again this year as my dog needs to be able to access the back garden for toileting. Please advise.